Where do you get off labeling all these churches as cults?? Where do you get off living in rebellion against Jesus’ warning? Why do you choose to live in willful ignorance of the perilous times we live in? It’s not our fault if you cannot tell the difference between a cult and a church. I don’t go labeling every church I disagree with a cult but I will say one non charismatic church I know of is cult like and thats is the presbyterian church. Now as for hillsong I do not see them as a cult but I also do not agree with how they do some things. I also see nothing wrong with a church using their music as an outreach for young people as long as they don’t rely on emotions. I would love to run off a whole list of churches both charismatic and non charismatic that I believe are at fault for wrong teachings but I would be here forever. A few churches I will list here are the Baptist church, Presbyterian, Anglican, seven day adventist, c3 and apostolic. I have had dealings recently with a friend from the Presbyterian church and it is amazing some of the things you can find out about them that a lot of people don’t know. You see one Presbyterian church as a cult but don’t see HillSong as a cult. Must be the smoke from strange fires getting into your eyes, blurring your vision. Presbyterian are wrong in a lot of what they do in the church the same as Hillsong, c3, AOG, church of christ, seven day adventist, baptist, anglican and catholic. i could list everything that is at fault but would take me many hours to go through everything on here. As for presbyterian church especially in the USA have started ordaining gay ministers and also altering worlds in their hymn books to water it down to suit general population. I said they are cult like but did I actually label them a cult??? When you get a chance you should take a look at the internal structure of the church, they are very legalistic. I am not a fan of Hillsong church as I disagree with a lot that they do but they are no worse than most other churches. There are many churches, both charismatic and non charismatic, that preach the liberal inclusive gospel and embrace gays as okay. Rob Bell type of love gospel and other postmodern views are signs of a dangerous trend and so are the extra biblical strange fires type of churches mainly charismatics, Hillsong included. You can refer to them by whatever name you want. If you choose to call them cults, then Hillsong with the burning of strange fires is no different. I know Rob Bell well and he is connected to the emergent church movement and I warn people to stay away from his teachings. 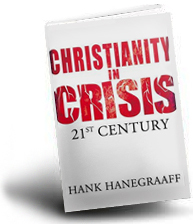 I have been doing some research on the books that are being promoted on here and found interesting stuff on Hank Hanegraaff. 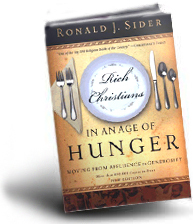 Sider is the child of a Canadian Brethren in Christ pastor. He attends Oxford Circle Mennonite Church, is the father of three and lives in the Germantown section of Philadelphia with his wife Arbutus, a family counselor. 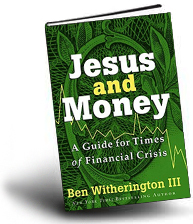 Ben witherington who is promoted on here too is from the methodist church, the methodist church are known for promoting works. They also from what I’m reading are calvinists too. 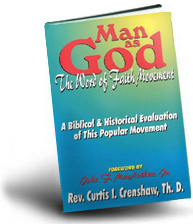 The truth is many of the godly fathers of the faith were Calvinists.Today, people with a Calvinists viewpoint exist in various denominations, and not necessarily the hyper type. 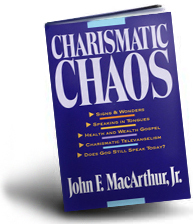 Yes, John MacArthur is a Calvinist,There are also many reform continuationists and charismatics churches also holding to the doctrine of election, like Wayne Grudem and John Piper.To deny that the bible is devoid of repeatedly mentioning us as being of the elect would require us to ignore them. Equally troubling would be the hyper Amenians which emphasise that salvation is solely the choice of man, his effort and his will. I take neither position and leave it to God whether a person when saved is due to Calvinist or Amenian theology. The fact still remains that the Calvinists makes a human effort to evangelize and depend on God for salvation of souls, so does the Amenians. At the end of the day, what matters is for a person to truly repent of his sins and turn to Christ for salvation. Neither Calvinists nor Amenians are cults. 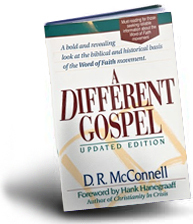 These are difficult passages in the bible that results in different viewpoints . 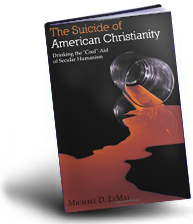 Even regarding what happens when a Christian dies has differing view points. One says he or she goes straight to Heaven, the other says they sleep until resurrection day. Thank you christgaming for the information on Hank Hanegraaff. We will look into this. I believe that God leads us to salvation but we have a choice if we want to follow or not. A young lady friend of mine believed once saved always saved and said it was ok for people to keep falling away if they are already chosen by God. i also don’t speak in tongues but i don’t deny it is still possible for today. Another friend of mine never believed in tongues and was from a baptist church, praying to God one night and suddenly spoke in tongues. There is no way of really knowing what took place that night in her room but she always believed against it as is preached in her church. I am also a guitarist and I feel it is my gift from God that I can use as a tool to reach out. In this view, people are at the complete and total mercy of God, who would be just in condemning all people for their sins, though God has chosen to show mercy to some, not all. In Calvinism some are saved while others are condemned, not because of inclination, foreseen faith, or any virtue in people but because God chooses to have mercy on them (Romans 9:16–17) according to his own purpose which is, ultimately, to glorify Himself (Ephesians 1:11–12). A person must believe the gospel and repent to be saved, but this compliance of faith is a gift from God (Philippians 1:29; Ephesians 2:8), and thus God completely and sovereignly achieves the salvation of sinners, including the chief (1 Timothy 1:15). In other words, faith is a fruit of regeneration, not the cause of it. God saves sinners so that they will believe, not because they believe out of their own resources. Many Reformed theologians teach that people are predestinated to damnation (as the doctrine of reprobation). There is less agreement among the Reformed regarding reprobation than predestination to salvation (the doctrine of election). Calvinism is distinct from other similar Protestant theologies such as Molinism, Lutheranism, and Classical Arminianism in this area, but they share much common ground with each other. For instance, the Calvinist doctrine that God saves some but not all is agreed upon by Molinists, Classical Arminians, and Lutherans. Only Universalists would dispute the limitation of the atonement. The issue disagreed upon is how and why the atonement is limited. “Total depravity,” also called “total inability,” asserts that as a consequence of the fall of man into sin, every person is enslaved to sin. People are not by nature inclined to love God but rather to serve their own interests and to reject the rule of God. Thus, all people by their own faculties are morally unable to choose to follow God and be saved because they are unwilling to do so out of the necessity of their own natures. “Unconditional election” asserts that God has chosen from eternity those whom he will bring to himself not based on foreseen virtue, merit, or faith in those people; rather, his choice is unconditionally grounded in his mercy alone. God has chosen from eternity to extend mercy to those he has chosen and to withhold mercy from those not chosen. Those chosen receive salvation through Christ alone. Those not chosen receive the just wrath that is warranted for their sins against God. “Limited atonement,” also called “particular redemption” or “definite atonement”, asserts that Jesus’s substitutionary atonement was definite and certain in its purpose and in what it accomplished. This implies that only the sins of the elect were atoned for by Jesus’s death. Calvinists do not believe, however, that the atonement is limited in its value or power, but rather that the atonement is limited in the sense that it is intended for some and not all. “Irresistible grace,” also called “efficacious grace”, asserts that the saving grace of God is effectually applied to those whom he has determined to save (that is, the elect) and overcomes their resistance to obeying the call of the gospel, bringing them to a saving faith. This means that when God sovereignly purposes to save someone, that individual certainly will be saved. “Perseverance of the saints” (or perseverance of God with the saints) (the word “saints” is used to refer to all who are set apart by God, and not of those who are exceptionally holy, canonized, or in heaven) asserts that since God is sovereign and his will cannot be frustrated by humans or anything else, those whom God has called into communion with himself will continue in faith until the end. Those who apparently fall away either never had true faith to begin with (1 John 2:19), or, if they are saved but not presently walking in the Spirit, they will be divinely chastened (Hebrews 12:5–11) and will repent (1 John 3:6–9). An additional point of disagreement with Arminianism implicit in the five points is the Calvinist understanding of the doctrine of Jesus’s substitutionary atonement as a punishment for the sins of the elect, which was developed by St. Augustine and especially St. Anselm and Calvin himself. Calvinists argue that if Christ takes the punishment in the place of a particular sinner, that person must be saved since it would be unjust for him then to be condemned for the same sins. The definitive and binding nature of this satisfaction model has strong implications for each of the five TULIP points, and it has led some Arminians to subscribe instead to the governmental theory of atonement. Under that theory, no particular sins or sinners are in view, but all of humanity are included in those whose sins have been taken away. The atonement was not the penalty of the law, but a substitute for the penalty, which allows God to remit the penalty by his grace when any sinner repents and believes in Jesus as the Christ. I don’t take a position on either and don’t make a big issue of it like some eg Dave Hunt. When we die we will know what being an elect means. For now, it’s just theological discussion/ debate with both sides having their differing biblical view points. There are Calvinist baptist just as there are Arminian baptist. There are Calvinist charismatics and continuationists and Arminians as well in these groups.Calvinists just like Arminians come in various shades from hyper to the hybrid Calvinist/Arminians or Arminian/Calvinists ie neither is 100%. TULIP which you wrote on is just a simple 5 points summary explanation of the basis of Calvinism which is just the surface of a much deeper theological discussion. Those who hold on to Calvinism are not a fringe group and if you think Calvinism is a cult, you would need to check on the position of every author before you read their books from the early fathers of the faith to today’s church leaders of various denominations. JI Packer’s book ‘ Knowing God ‘ (written in the 1970s) is a highly recommended reading among word based Christians (Calvinists and Arminians alike ) , and JI Packer holds a position that a Calvinist viewpoint is biblical. And I am neither a Calvinist nor Arminian (maybe a hybrid) but I love to read John MacArthur’s devotion and bible expositions. As a cautious continuationist, my bigger concerns are the strange fires burning in charismatic churches and spreading out and influencing the less discerning. In modern language, fascist spiritualism, with a good dose of existentialism and romanticism, is an apt term for a community worship orchestrated by a spiritual maestro(Christianity). The bible simply sums it up in one word or calls it…idolatry. Idolatry is mass submission of will, mind and soul to any voices or images other than …the word. The church in today’s context is not structured to deliver…the word. 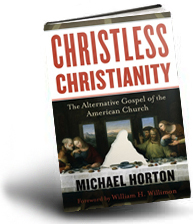 Christianity(a body) offers innumerable platform for legions of disunited voices. I believe in the doctrine of election, the fact that my names written in the Lambs book of Life is proof of that. It’s His grace and work in me that I’m a Christian, it’s my hearts desire to be conformed to the image of Christ, not by human might, not by human strength, but by the power of The Holy Spirit. Fascist – ruled by a powerful person. 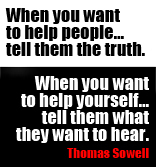 In this case, the powerful person is invisible who speak through your local church leaders. Often, the invisible man is portrayed as a generous loving tycoon who has been punished(sentenced to DEATH by the Supreme Court of justice) for your immaturity, guilt or rebelling against your protective(protect you from wolves) parents – which makes complete gracious sense. No one has met the invisible man. Neither can one relate to this invisible man like you would with normal people and yet, he is like us and we are like him in many ways. In the wizard of oz, the real power belongs to the conman behind the illusionary wizardry. Leni Riefenstahl made more asthetic and artistic fascist vision films than Phil Pringle. Riefenstahl’s films celebrated a vile and despicable murderer – Adolf Hitler. Pringle has more than a few faults, but he’s no Adolf Hitler. And I doubt he’s a fascist. More deluded and totally self-absorbed. You missed the point what it is we are trying to communicate. No one is calling Pringle a Hitler. We are asking people to compare the philosophies and methods that were used to condition people that gave rise to a Hitler. Why do you think the German church movement didn’t speak out? Who redefined them? How did they become so conditioned? What made the church incapable of being the church? You have a valid point. Unfortunately, logic and common sense won’t work on the heavily indoctrinated. What made the church incapable of being the church? Common sense? you guys are out of your mind. That sounds odd coming from you. Since you are “on the boat” with your mate Pastor Nick, will you be docking with him this Friday? Or will you be telling officials to get “on the boat” as well? My faith is in the words of God not man, bible teaches us to test all things to see if they are of God. Reading the bible is number one priority 🙂 My book collection at home does not contain not one so called Christian author. I learn by reading the bible and not from any word of man. When I go to church I do tend to check everything the preacher has to say. Also Annette i would not label c3 a cult or hillsong for that matter but i will say that they are being led astray the same as many other churches out there. Alan, I’m not sure as to whether you are still monitoring this blog, but the word “cult’ has a different context within Christendom than it does in the world. Quite often Chrisatians will label another church a cult, if they tend to deviate from orthodox doctrine and practice. Heterodox groups may subscribe to some orthodoxy, but may seperate over their own unorthodox beliefs. Sects, on the other hand, tend to camp around a major theme, which has caused them to seperate from their former mainstream denomination that they have come out of. The sociological definition is different again, as it describes a cult in terms of abnormal behaviour – cultish behaviour, and that definition usually takes on board Robert J Lifton’s eight criteria for mind control. It does not necessarily extend as far as examining actual differences in belief systems. 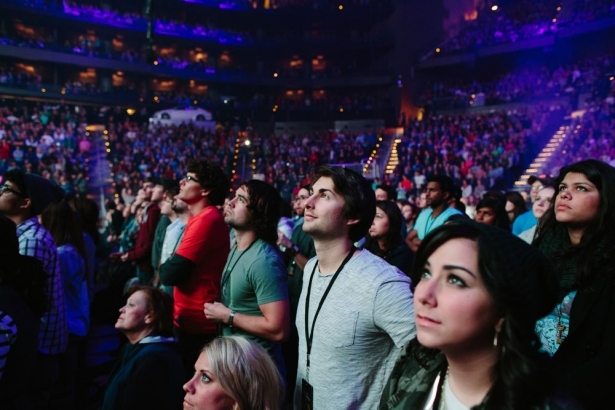 Of course, there are many groups that loo like they have some overlap of both definitions in their makeup, and many commentators feel that this appears to be the case with C3 and Hillsong. They hold to a post modernist, and emergent form of Pentecostalism, but upon further examination, they seem to have more Charismatic influences, as well as the added Word of Faith teachings and seem to have embraced some current NAR ideas as well. 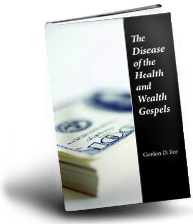 There is also a very strong emphasis on givng financially to both organisations, and teach tithing as mandatory for the church. They may not appear to be cults in the same sense as the “door knocking’ cults, but have been labelled cults by former members and outsiders, because they seem to have strayed far away from Biblical orthodoxy in many areas, and have also exhibited strong control measures in the way they interact with their congregations, and as observed in the treatment of ex members.